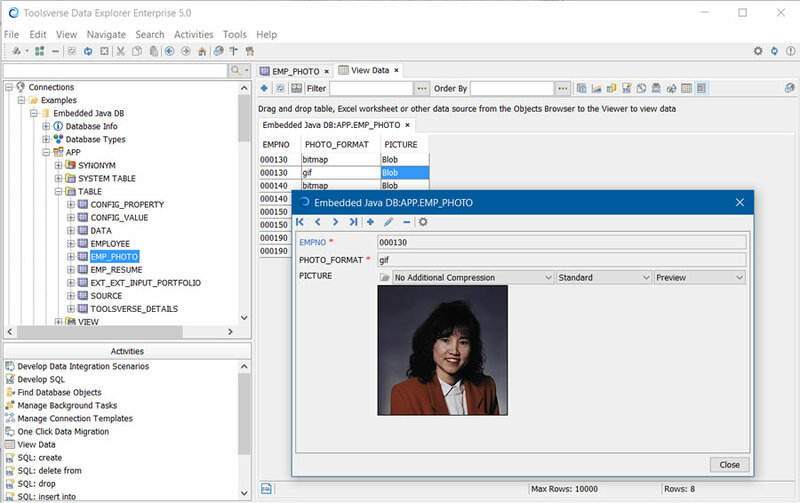 In Data Explorer you can create complex and repeatable ETL and data integration scenarios in no time. It includes an easy to use, drag and drop visual designer where you can connect sources to destinations, define transformations and column mapping. Develop and test ETL scenarios fast. No codding unless you want to. Easy to use. Use drag and drop visual designer to create ETL scenarios. Connect to everything. Over 100 built-in connectors and transformations. Work with structured, semi-structured and unstructured data. 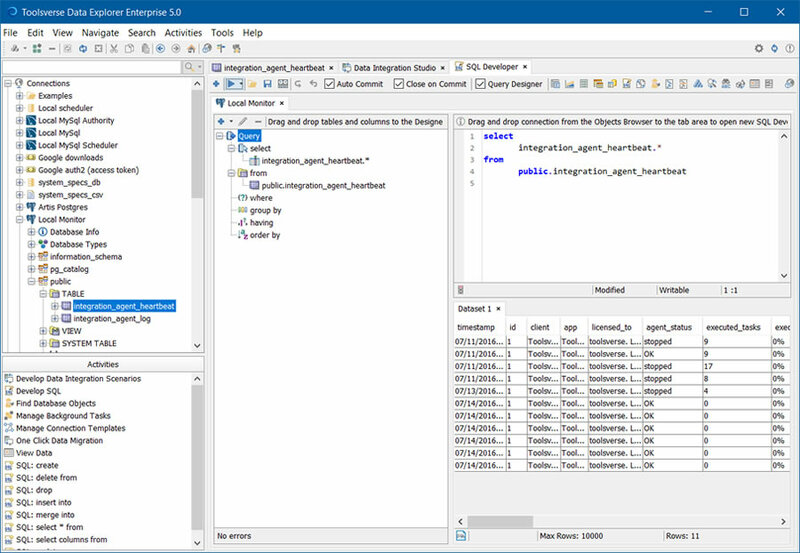 In Data Explorer you can manage a wide range of relational databases in the same easy-to-use and powerful integrated development environment. 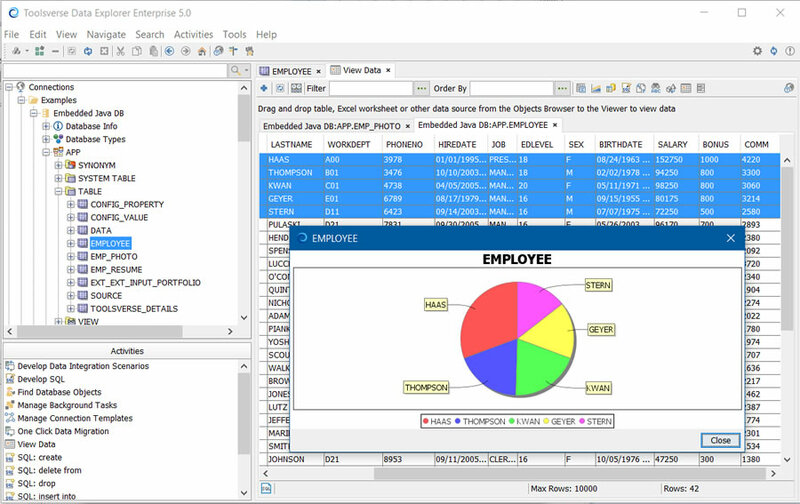 Visualize data, create and execute SQL queries and stored procedures, share queries with the team. 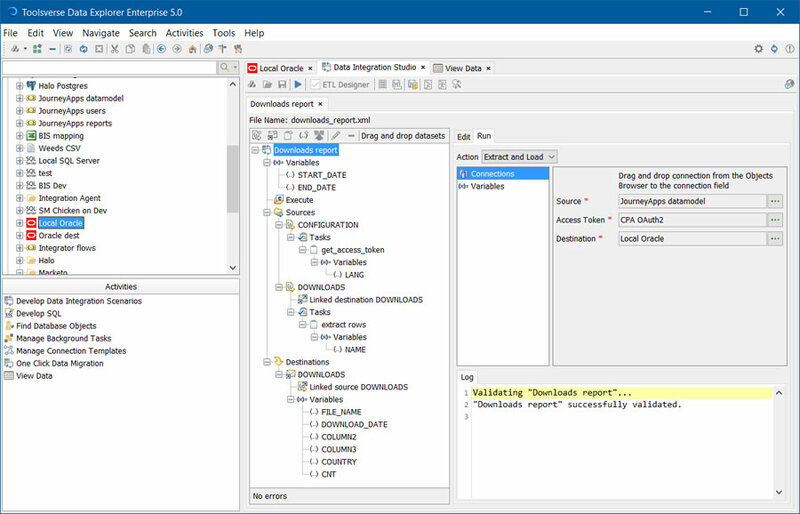 Data Explorer natively supports Oracle, MySQL, MS SQL, DB2, Informix, PostgreSQL, Sybase, Snowflake, Amazon Redshift, Amazon Aurora, as well as other databases and data exchange formats. 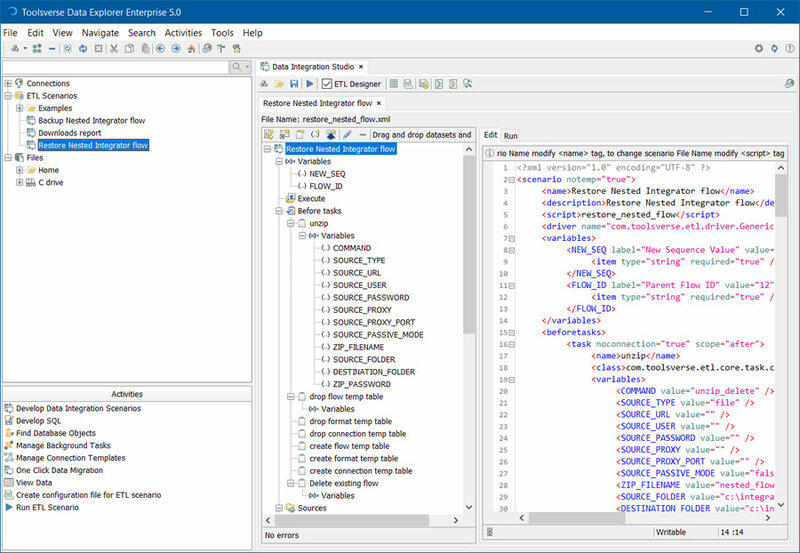 Data Explorer includes drag and drop SQL designer as well as SQL-aware code editor. Discover data and metadata, regardless of the format and location. Migrate from any data source to any. 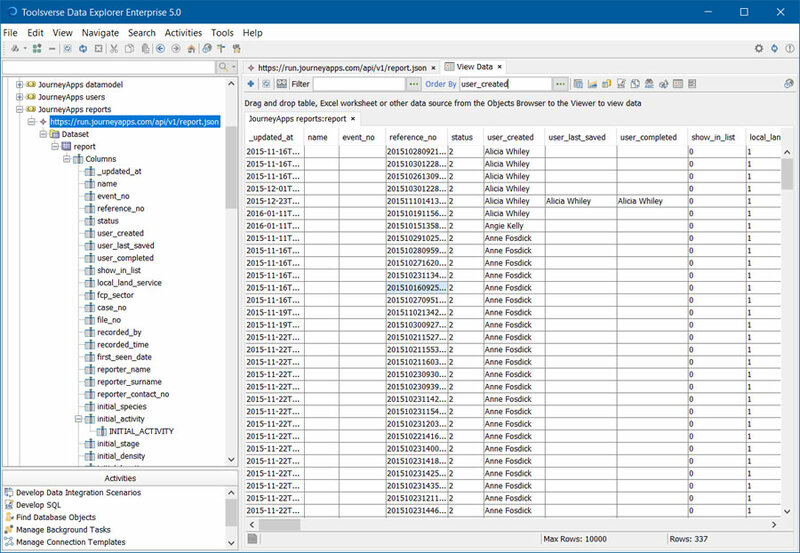 Data Explorer includes a one-click data migration wizard. Visualize and discover data in any format and in any location. Explore and modify data sources and their structure, regardless of the format or location. Use it to develop and debug ETL and data integration scenarios. See data in a grid and raw (original) format. Discover dependencies by drilling down into the nested datasets, quickly filter out and sort data. 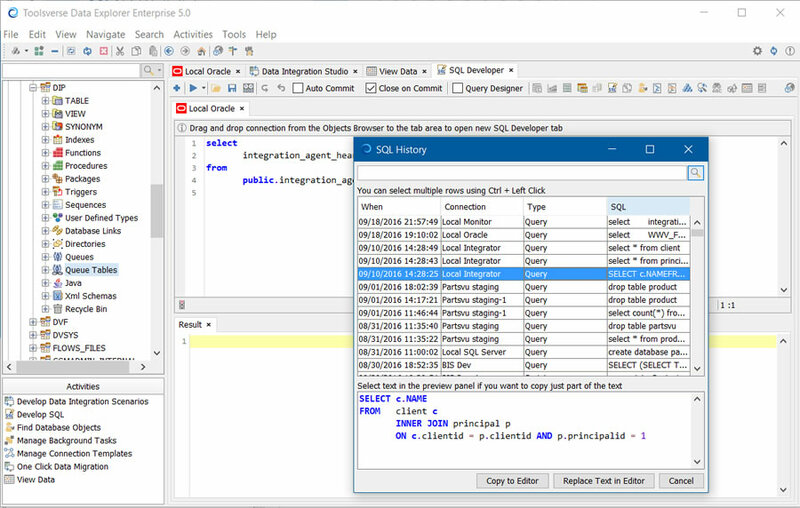 Use SQL to query data in any format, including databases, web services, structured and flat files. Leverage your natural ability to spot visual patterns quickly. Share queries with a team. Interactively apply statistical functions and high-level transformations, such as denormalization, deduplication, pivot, etc. to any dataset. Start exploring the features of the Toolsverse Data Explorer by downloading a 20-day trial.